Summer's not quite here yet, but you can start celebrating at the first sign of warm weather with this cool blue graphic. 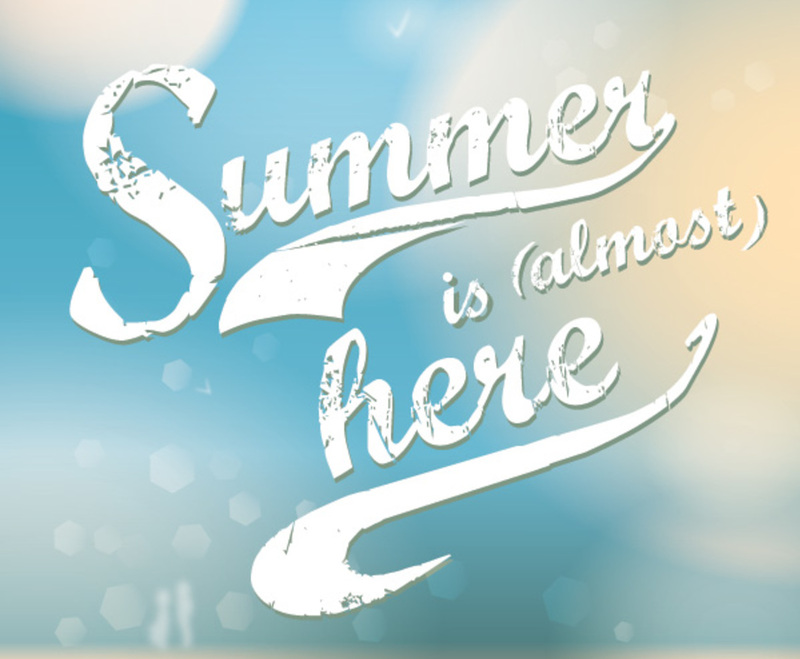 It displays the message, "Summer is (almost) here" in retro, beach-inspired typography, with two winding lines emphasizing the first and last words. Behind the text, a blue background is partially obscured by several nondescript shapes. It appears as though the background is a slightly blurred window, and there's definitely a light, sunny feeling. This is a cheerful graphic, appropriate for announcing any type of seasonal event, and it works especially well as a promotional greeting card or poster.